I love the web and all that, but there's nothing like meeting up in the physical world. 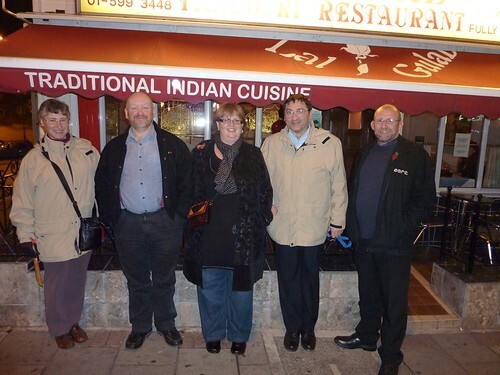 Derek Wenmoth and Ali Hughes of Core-Ed are here in the UK, and last night they, Richard Millwood (of Core-Ed UK), Elaine and I went out for a meal. Good food, fine conversation, plus catching up -- all good stuff. As, indeed, was being able to actually sit down and have a proper conversation -- the last time Richard and I met was back in January when we bumped into each other in Piccaddilly Circus! It was good to meet Derek and Ali too, and like Derek I'm looking forward to meeting up again. The picture shows, from left to right, Elaine, Richard, Ali, me and Derek.